Hey there! I've discovered a few pretty cool things in the last couple of weeks that I think you'll want to know about. 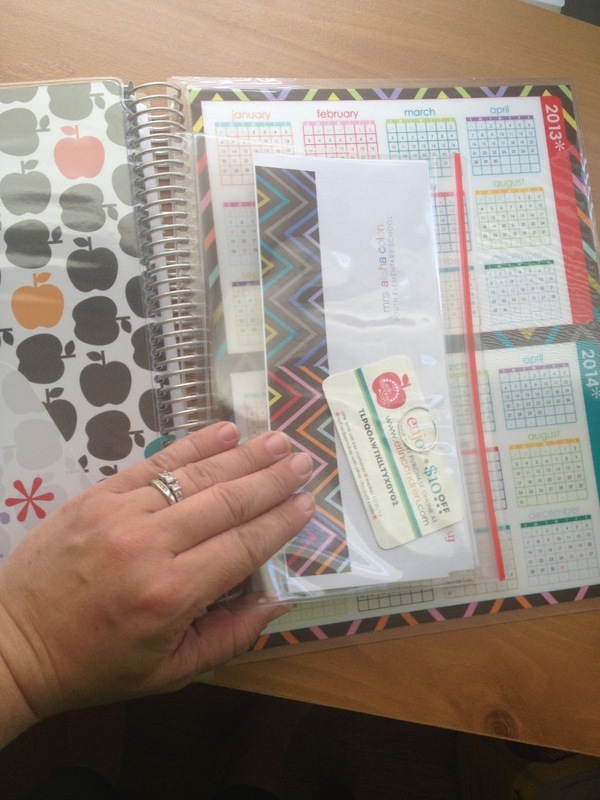 My new blog planner, my Erin Condren lesson planner, and Bloglovin'! 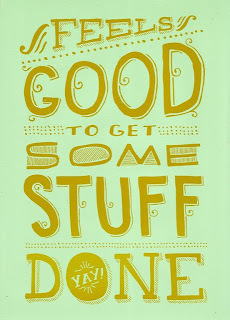 It feels good to report that I'm getting some much-needed tasks out of the way at home now that summer is here! One such task I (for the most part) finished was getting my home-office area in order. My Mom will be proud to know that I followed her advice and separated everything into manageable piles, boxes, folders, etc. It wasn't long before I realized that I've been keeping all of my blogging information in random notebooks, folders, post-its, and it was getting confusing. As everything else got put away I still had that pile of blog stuff staring at me. I put it all in a box and promised myself I'd get to it later. Fast-forward to the following morning. I sit down to the computer with my smoothie, much like I do every morning. Check my blogfeed and BAM! Before I know it, I'm reading a post about a blogging calendar! I proceeded to get-down like James Brown. Well, in my mind I did. Then I headed over to TPT to pick it up! Gina at Third Grade Tidbits made this super-cute, super-functional blogging calendar and it's a steal for $3! I printed out the pages I needed, 3-hole punched them, and put them in a binder. Easy! The monthly layout is nice. It helps me keep track of my posts and how they're promoted. In the back of the binder, after each month's section, is a section for some good-to-keep-track-of information. Remember me mentioning the post-its and scraps of paper...this is where all of that stuff will go! I printed out a few of these pages! What a good idea to be able to keep track of all of YOU! There's also a section in the back for keeping track of blog stats. 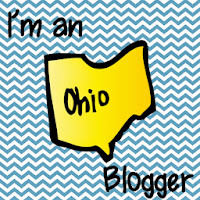 Watching this little ol' blog grow has been an exciting process. I'm hopeful and happy about the future! PLUS, if you buy the calendar now, when she updates it for 2014, you'll get THAT one, too! I'm also in LOVE with my Erin Condren Lesson Planner! Even the BOX is pretty! Will re-use for sure! There she is! A work of art! 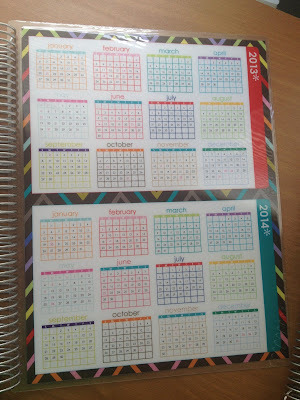 There's just something about an untouched planner or calendar. The lover-of-office-supplies in me that probably helped guide me into the teaching profession just loves the personalized, stylized, everything-in-one-place-ness of it all. 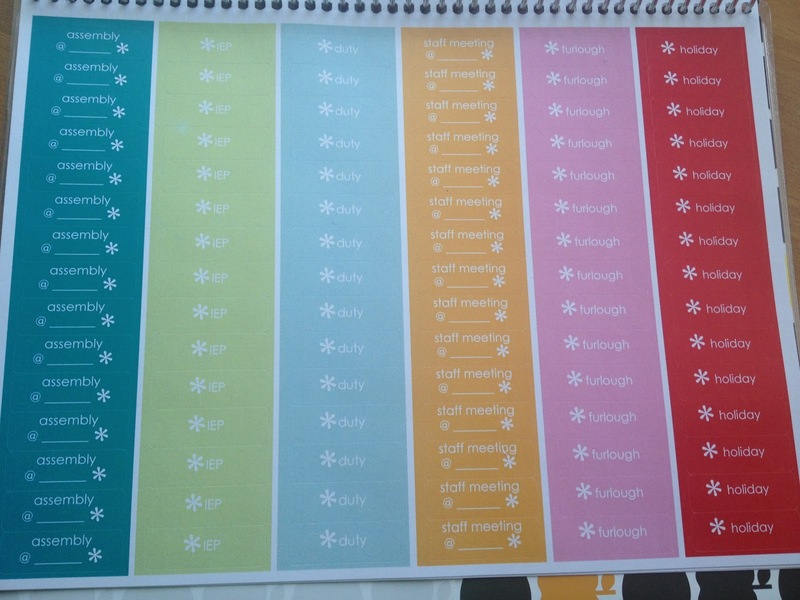 The monthly layout will give me the space that I need to write down appointments & reminders. The 2-page notes spread for EACH month will give me enough room to jot down anything else I need to remember. I like that it starts in JULY, too. 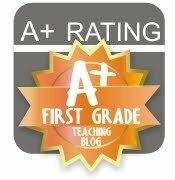 I like the lesson planning pages, too. Enough room to write what I need. I've been looking for an easy-to-use format for awhile. This is going to be it! I ordered extra checklist pages because, for once, I'm going to keep it all (attendance, grades, permission-slip-turn-ins) in one place! 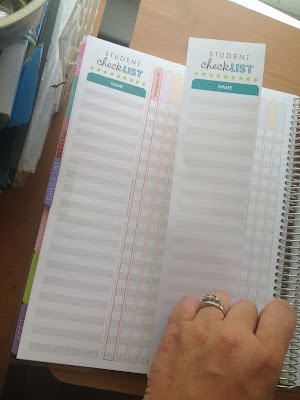 What's nice about these are that if you have the same group of kids every day, you can just fold back the next checklist and keep going without having to re-write the names. Smart! Aaaah. Stickers! 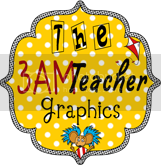 I ADORE that these are tailored for teachers! Report & progress report reminders, benchmarking, testing, and MORE! 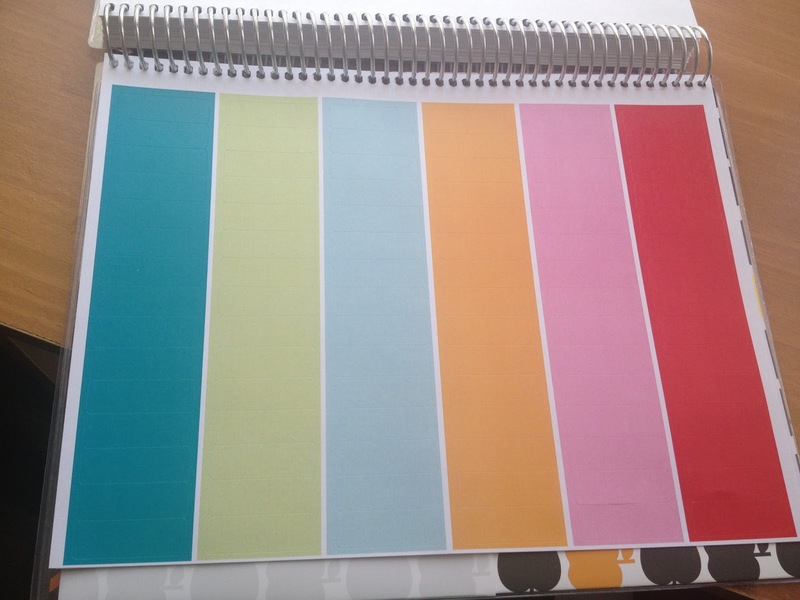 There are also 2 pages of additional blank stickers. I have vague visions of using these for indicating common core standards but haven't decided HOW I'll do it yet. Any suggestions are welcomed! The 2-sided folder will help keep all my "stuff" together! If I could order this again, I would have ordered more of these sheet protectors! 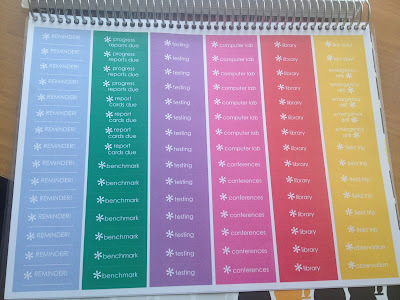 You get 1 with your planner but I can see using these for all kinds of stuff. 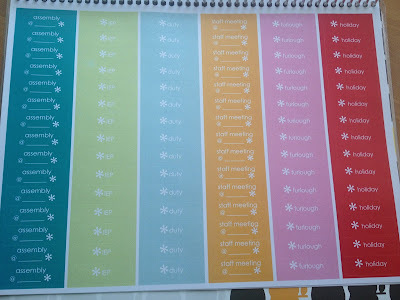 You also get a zipped folder with personalized gift labels (LOVE these). You can also see that there are a couple of $10 off coupons for future purchases. 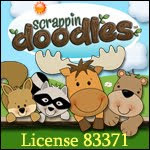 (I reminded the Hubster that he can use them at Christmastime...hint, hint). And a 2-year at-a-glance calendar on the inside-back cover. Whew! Are you still hanging in there with me? Stretch your legs, get a cup of coffee. I'll wait. The last thing I'm loving lately is BLOGLOVIN! After hearing and confirming that Google Reader will be no more as of June 30th, I started looking around for a different way to keep track of the blogs that I'm following. 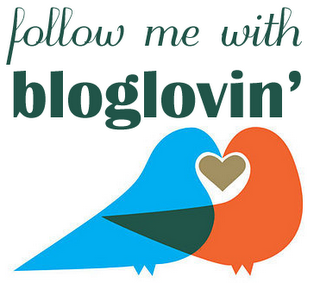 Various bloggers noted how Bloglovin' had an easy-to-use interface that keeps everything where you need it. I also love that they have an app for my iphone for reading on-the-go. 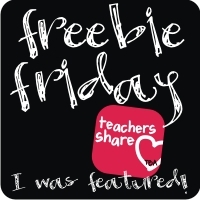 Also: Did you hear about the giveaway at Lucky to be in First's blog? It's a 250 follower celebration! I love that there are 2 prize packs, one for lower elementary, and one for upper. Those are just a few things that I'm loving lately. What's making YOU smile? 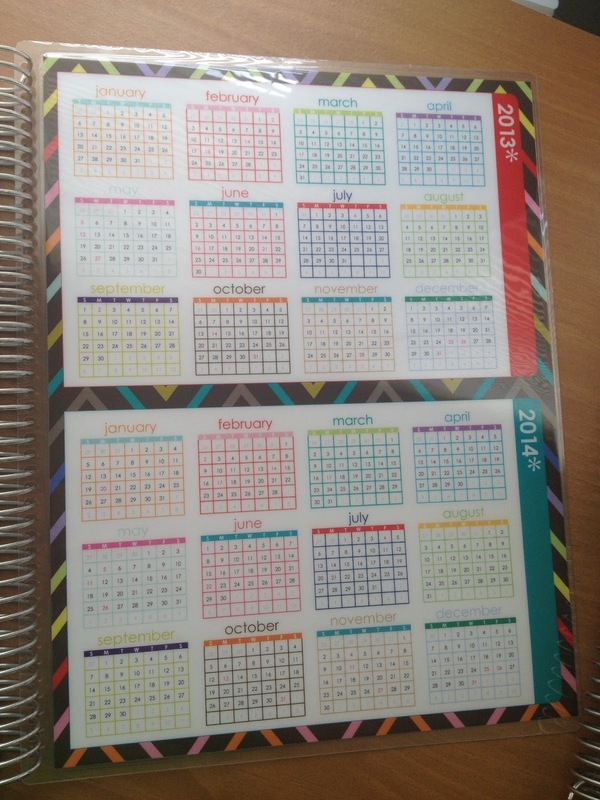 Didn't think it was possible...but you just made me even MORE excited about my planner! It has shipped and I can't wait to get my hands on it! 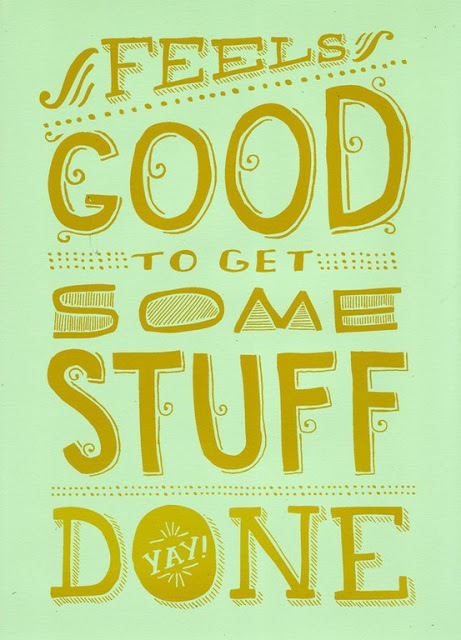 Glad you are being so productive! Hey Kheila! You are going to LOVE it! It's kind of sick, but I want to start writing in it already! Hopefully the excitement continues when I have the "back to school blues" in August! 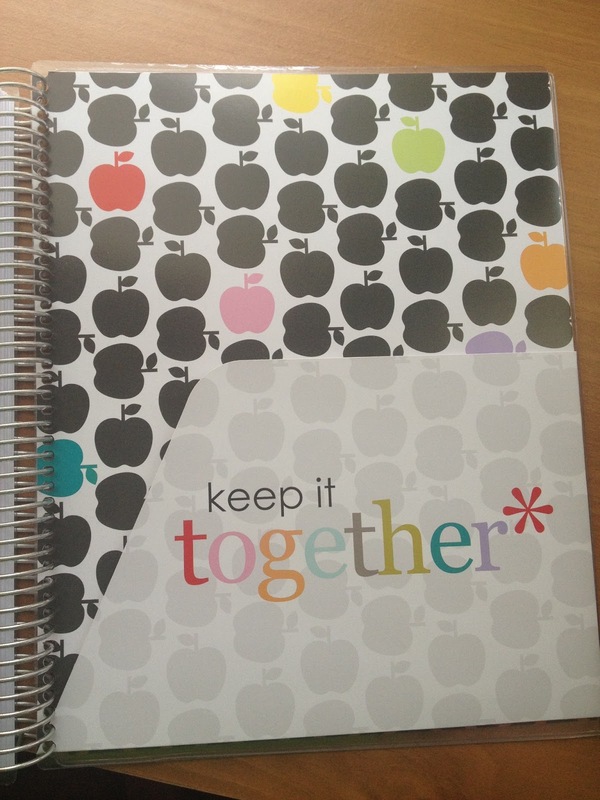 Alisha I just ordered my teacher planner this evening and I can't wait to get that bad boy!! 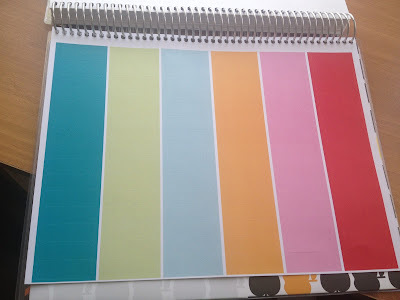 I just love erin condren! Thanks for sharing!! Hi Tiffany! You are going to LOVE it! 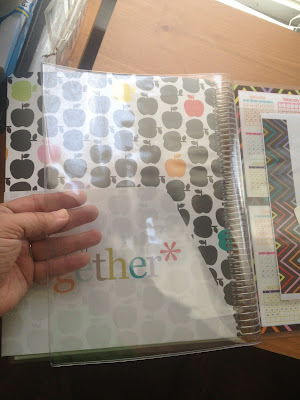 A year ago I didn't even know who Erin Condren was, now I'm a huge fan! The teaching community has probably done WONDERS for her sales! What a smart and fun lady!